In California, the State Democratic Party has made efforts to protect centrist Democratic incumbents, using questionable technicalities to dismiss primary challengers’ petitions for the party’s endorsement. The California Democratic Party’s bylaws stipulate that Democratic incumbents automatically receive the party’s endorsement for re-election unless a primary challenger acquires petition signatures from at least 20 percent of eligible participants at a pre-endorsement conference. The endorsement enables incumbents to receive funding and campaign resources for their re-election. 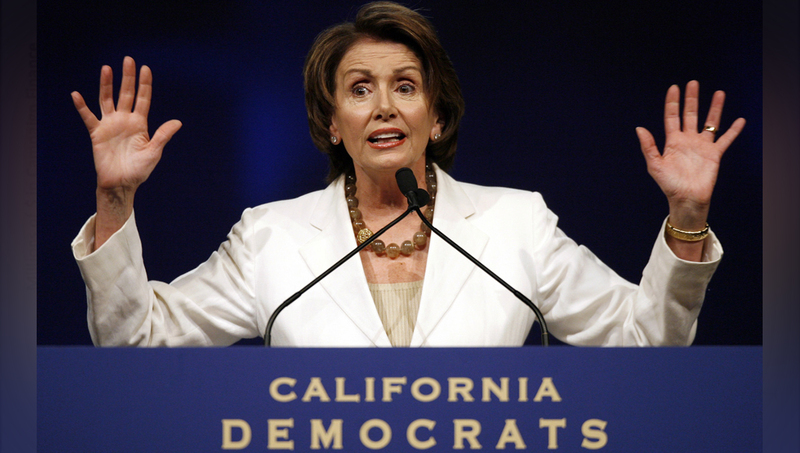 Stephen Jaffe, the primary challenger to House Minority Leader Nancy Pelosi in California’s 12th Congressional District, acquired the necessary 20 percent threshold of signatures to prevent the California Democratic Party from formally endorsing Pelosi. Jaffe acquired signatures from 37 out of 182 eligible delegates and submitted his petition with the $350 fee before the 5 p.m deadline on Jan. 17. The California Democratic Party rejected the challenge, later claiming there were 190 eligible delegates, and that 38 signatures were needed. The party never shared the list of eight extra delegates with Jaffe, who appealed the decision which will be ruled on by six members of the California Democratic Party’s Compliance Review Commission, who were all appointed by the party’s chair, Eric Bauman. Last year, Bauman won the party chair election against progressive challenger Kimberly Ellis by 62 votes, in which nearly 3000 ballots were cast by party delegates. Ellis contested the election results due to several alleged voting irregularities, but the California Democratic Party upheld Bauman’s victory. Another Democratic Party candidate, Maria Estrada, met the petition requirements to challenge the party’s endorsement of House Speaker Anthony Rendon, who represents Assembly District 63. After she filed the petition, which had one more signature than the 10 she was required to receive, letters were sent from two delegates asking that their signatures be revoked, though no procedure exists to allow signatures to be removed from a petition. Estrada’s campaign suspects that Rendon or his campaign formally contacted the delegates to pressure them into writing the letters. Estrada tried to appeal the Democratic Party’s decision to reject her petition, but they made a ruling that no vote would be held at the pre-endorsement conference, leaving the only option to challenge the party’s endorsement of Rendon at the California Democratic Party State Convention in late February, where the petition process requires a greater effort to reach the threshold.